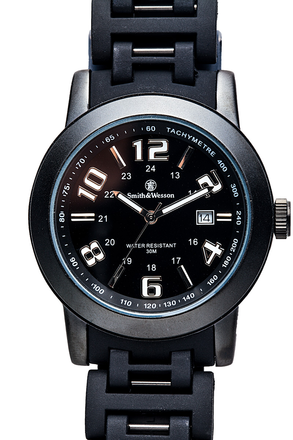 The Smith & Wesson Men’s Recoil Black Glowing Dial Plastic Band Watch is a great looking watch that will keep you punctual. The Japanese movement on this Watch keeps impeccable time, over inferior watches. 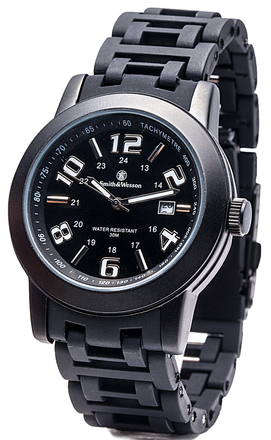 Able to resist water up to 30m (98.42’), the Smith & Wesson Recoil Watch can stay on your wrist in almost any situation.